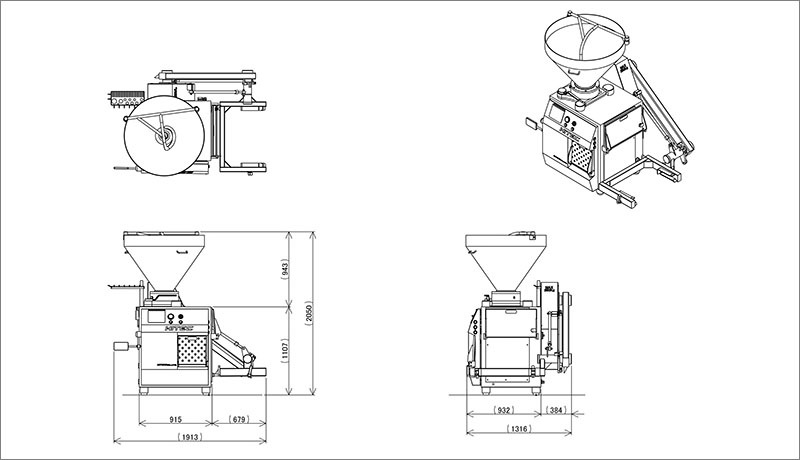 Continuous Vacuum Filling Machine with High Performance, High Precision and Equal Weight Stuffing is possible for not only meat products but also fish foods, prepared foods & Other Products. 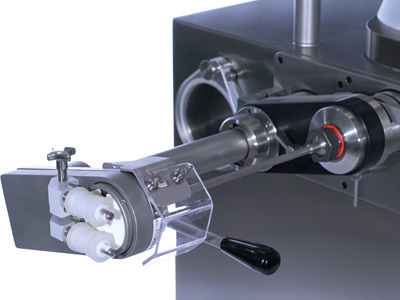 The Equal Weight Stuffing is possible for Tray & Bottling as well as Casings such as Sheep, Hog, Cellulose, Collagen, Fibrous & Plastic Casings. 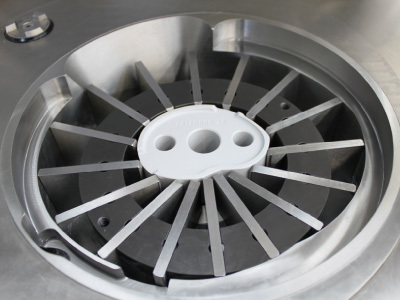 The new type vane pump developed by HITEC, has accomplished advancements in transferring products without damaging the overall look and feel of the products. 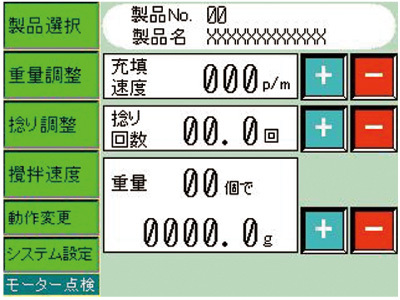 All vital data including cycles run, set points, etc, can be checked at anytime. By installing a simple detachable twisting device, it is possible to stuff equal weight sausage one by one. The stuffwel can produce Vienna Sausage to Frankfurter Sausage not only into natural casings but also artificial casings with a wide range of sizes. 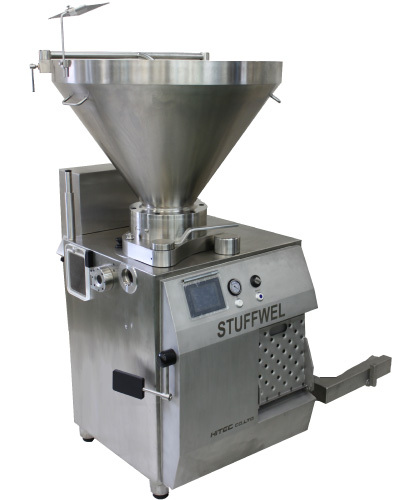 The stuffwel can also be used as a meat transfer pump. 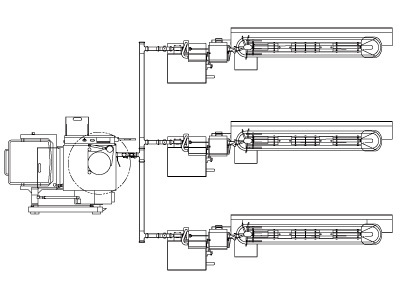 The layout above is an example of Hitec Linkwel machine.One Stuffwel can connect and pump to multiple linkers.